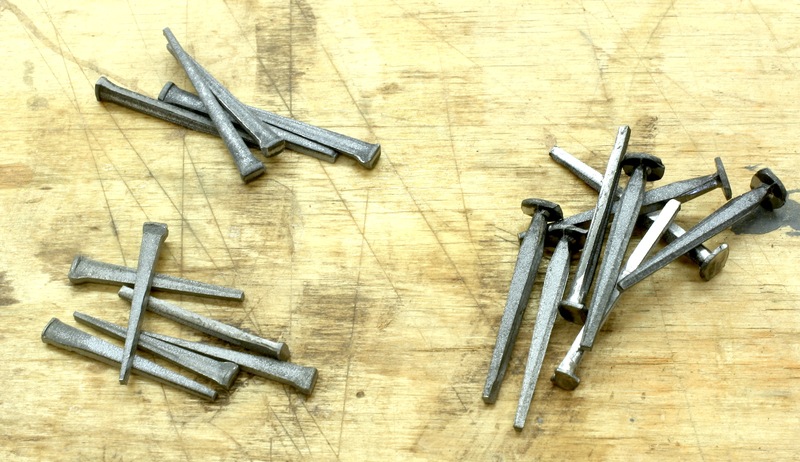 When removing the plating from modern screws, I use vinegar, let the needed screws soak over night, then wipe off/rinse. let sit another couple of days wet, then a liitle rust sets in, add the gun blueing and the screws look 100+ years old. Why the vinegar? The gun bluing has the ability to strip the zinc off the screws. In an earlier post, I discovered that vinegar itself was not the look I wanted, so I went back to the bluing. I use the vinegar to get the palting out of the slots in the screwheads (somtimes I also cut the slot deeper with a hacksaw blade) and with the small amount of tarnish/rust that occurs in a few days they look “period” like plain steel screws. The bluing adds the dark patina and when all is done,,,I have been able to repair/replace parts on antiques that would be hard pressed for any one to tell the originals from the replacement/new screws. I have used a blowtorch and dipped the hot screws in wax before to create an antique/ancient look to screws, but it’s hard to make a square or Phillips head look antique. 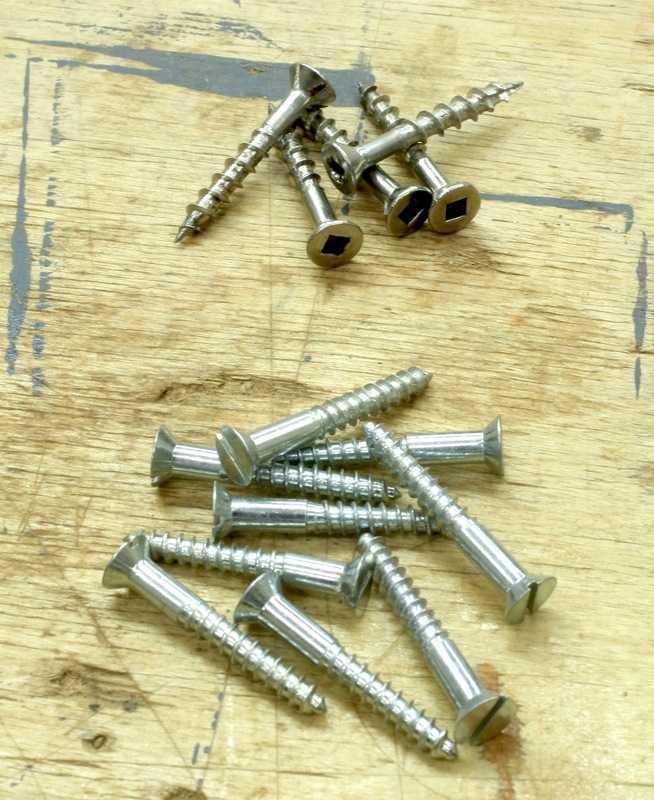 There’s also a complete subset of screws when it comes to hardware. I have a whole shelf dedicated to small brass screws. From #6 to #1, which I usually replace the zinc or stainless screws that come with some hardware. Also, it’s good to have extras in case you break screws in the wood. To combat that, I use a stainless version of the brass screw to cut a ‘pilot’ path. Smearing the screw with wax also helps alot. And that last thing about those little screws is never, never, ever use a power drill. Always use a small screwdriver. 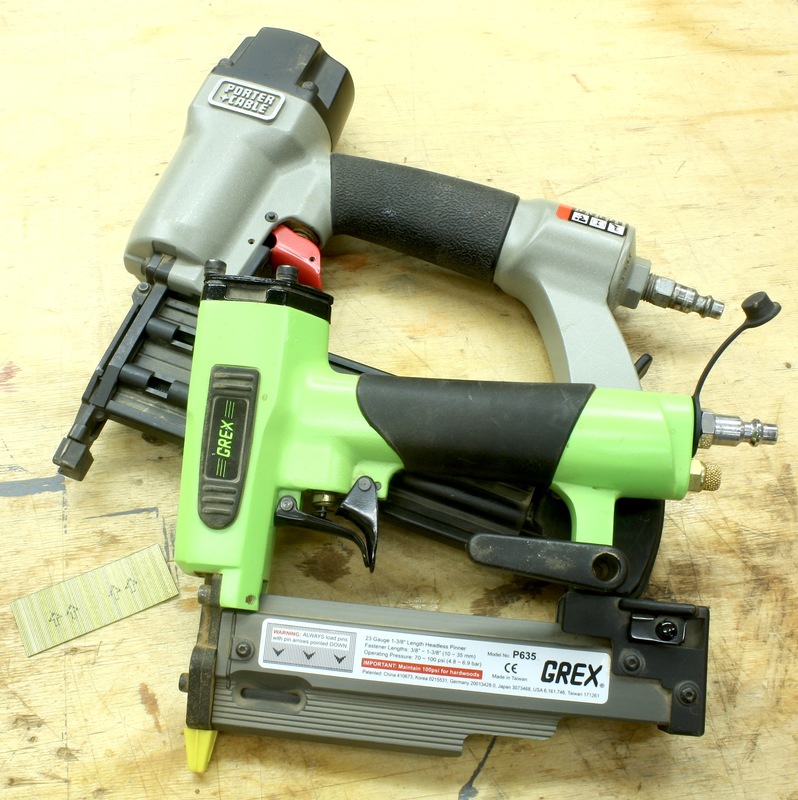 Saves the screw head from tearing out and all but eliminates breaking the screw, because you can feel when the tension is building and you back off. Great article, Thanks Glen!